Is there anything better than a fresh batch of soft chocolate chip cookies? I think not. All the good cookie eaters of the world! We were made for such a time as this. Wait, though. They are singing a love song to you: BAKE ME. BAKE ME IN YOUR OVEN RIGHT NOW. A few years ago, when we were living in the Philippines, I accidentally discovered my new favorite way to make cookies. The recipe is now two years old, but if you like to creep, they can be located here. And let me just take a moment to acknowledge that seriously without fail – everything good that I make is always inspired by haphazard accidents, including but not limited to broken refrigerators and lacking ingredients and my really strong tendency towards laziness. Everything including these cookies and all their iterations. So in 90 bajillion degree Cebu, Philippines, back in fateful 2012, yes I WAS trying to bake chocolate chip cookies. In true Pinch of Yum must-have-the-food-now style, it made 0% rational sense. I had butter that was literally melted from sitting out on the counter for, like, three seconds, I had NO brown sugar, and I added a little too much extra flour. I proceeded to bake the accidental cookies in my oven which I had to start by lighting a FIRE with a MATCH inside of it and which had NO TEMPERATURE MARKINGS other than the numbers 1-5. Sage and I are laughing out loud over here – howwww did I do anything? Related – I now laugh out loud with my dog. So where were we? I think we were about to count the number of cookies I’ve eaten just in these last two weeks as I’ve refined this recipe, which is approximately $&@^!# (censored). I replicated the ULTRA THICK, ULTRA SOFT texture (it called for bold, right?) and maybe even improved the flavor with this new 2015 version that is similar, but way easier and more sensible than the original. And by sensible, I mean… just… like, lazy sensible, okay? I don’t mean THAT kind of sensible. You might need to start looking for another blog if you need your cookies to be sensible. There is nothing sensible about this beautiful sugar and butter perfection. We’re all trying to eat better around here – me, Bjork, Sage, and you. We’ve been making salads and stuffed peppers and magic green sauce together and loving on all the yummy, healthy things for the last few weeks. I love food, and I love healthy food, and I love vegetables. But there is one thing that I love more than anything in the world – yep – going there, and that is a really good, thick, soft, chocolate chip cookie with a glass of milk. Today, tonight, whenever it is, if you’re going to eat a cookie, please make it count. Please make it a soft, hugely huge and always soft, and buttery and chocolate chippy and perfectly soft (did I already say that?) 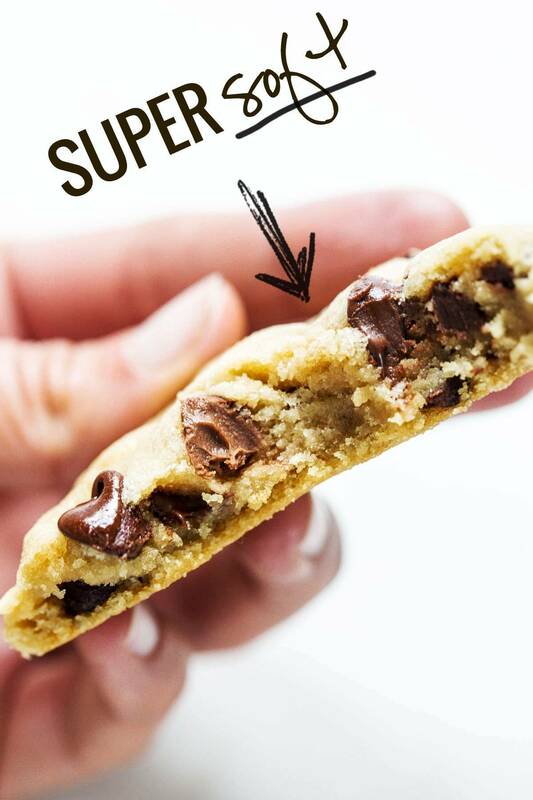 chocolate chip cookie that will take your life to the next level. Ohhhh! You guys, you guys, you guys! Mom likes cookies, too, right? Ugh DANG we’re so selfless like that. I just love us right now. Roll the dough into 12 large balls (or 9 for HUGELY awesome cookies) and place on a cookie sheet. Bake for 9-11 minutes until the cookies look puffy and dry and just barely golden.Warning, friends: DO NOT OVERBAKE. This advice is probably written on every cookie recipe everywhere, but this is essential for keeping the cookies soft. Take them out even if they look like they’re not done yet (see picture in the post). They’ll be pale and puffy. The 3 most important things about this recipe are 1) melting the butter, 2) adding enough flour, and 3) not baking for too long. If you find that the dough is wet and it REALLY sticks to your hands, you probably need a little more flour. This is important otherwise you’ll have flat cookies. I’ll usually add a few tablespoons at a time to get it to the right consistency. See video in post for reference. You should be able to roll the balls of dough between your hands without any issues. From our recipe tester: If you’re running into issues with your cookies, you can reference the examples above to help find out what may have gone wrong. 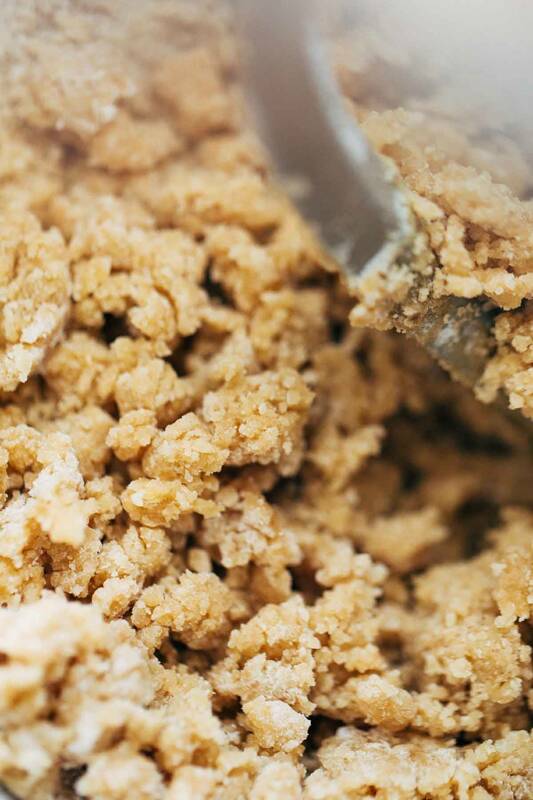 One of the keys to achieving the perfect cookie is to ensure the correct amount of flour is used. Ideally, the flour should be weighed. In testing, we found that 6.75 ounces of flour was the correct amount. Without a food scale, don’t pack the flour into measuring cups and always level the flour off. I don’t even know what you’re talking about. 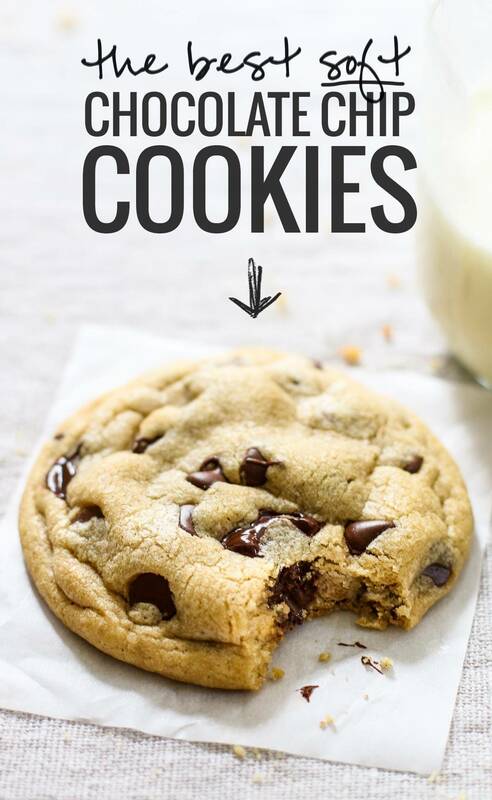 Okay, I’ve just finished eating a huge lunch, but I still want ALL the cookies…These look so good!! Cookies = No nutritional label available on this item? Works for me! Hi, I actually would really like to know the nutritional information on these please! Awesome! I hope you like them shazandwich! Yah, toats agree vith Zou! Maybe you shouldn’t be so weirdly hateful in the comments section of a yummy chocolate chip cookies recipe? This is supposed to be fun, right? The kcal amount for one of these cookies is actually 244, (based on making 12 cookies from one batch)going by the nutritional info listed on the packages of ingredients used in the recipe. The MFP database amounts are way off on some items. Dude… you are no fun. Damn it Jackie, you would want to know! Great post! Pardon my rookie status, when you say raw sugar, are you using turbinado sugar? Hey. Can these made without the egg? How much salt should I add if using unsalted butter? Heavenly. And so fast and easy. The only problem was that I didn’t make enough! Thank you Lindsay! Hi! Wondering if when you double or triple the recipe if you do anything different…these make enough for our small family, but not enough for a crowd, or a party! To double or triple the recipe you multiply the numbers which is really simple. 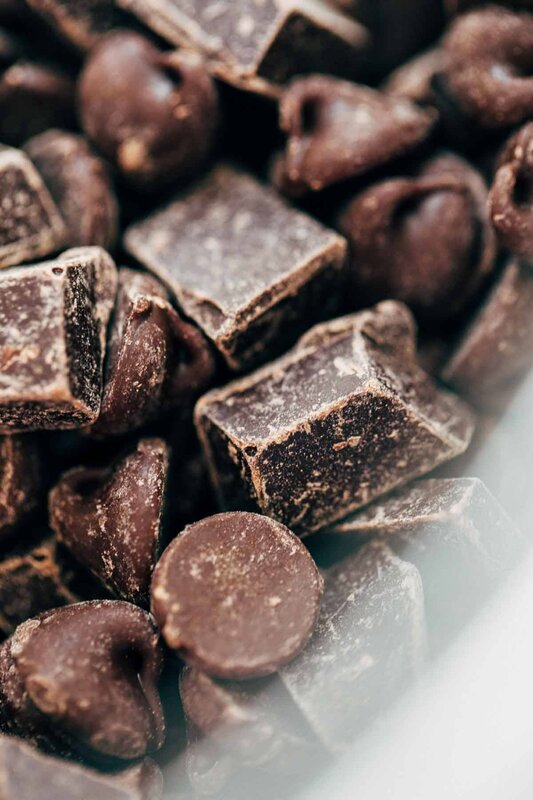 For example if you want double the recipe then for chocolate chips you would do two scoops of 3/4 chocolate chips or 1 and one half a cup. I doubled it and it turned out great. I made half chocolate chip then made the other blueberry and current. Kids loved them. I quadruple the recipe with 4 kids in the house and 2 adults that love cookies. I tripled the recipe! Came out just find, delicious soft fluffy cookies! I rolled mine in Heath bits before baking…yum! You can find those by the chocolate chips in the grocery store. They also have butterfinger. Everyone went nuts over them! Had to make even more! Holy moly, you rolled the cookies in Heath bits?! That sounds incredible. How many does it make when you triple the recipe? Multiply the original recipe’s yield…times 3. I’ve made these several times and they are so so good! Unfortunately, after reading all the buzzkill comments about nutritional info…. I’m going to have to find a new recipe … perhaps one with kale and eggplant. Thanks a lot to the health nuts that go ruining perfectly awesome cookie recipes for the rest of us! I’m a chocolate chip cookie fan! Can’t wait to try these out! Awesome! I hope you like them Ana! Apple sauce is not a substitute for butter! While it might make sense in a recipe where the butter simply adds a bit of smoothness to the recipe (pancakes, for example), but not where butter is the MAIN INGREDIENT. 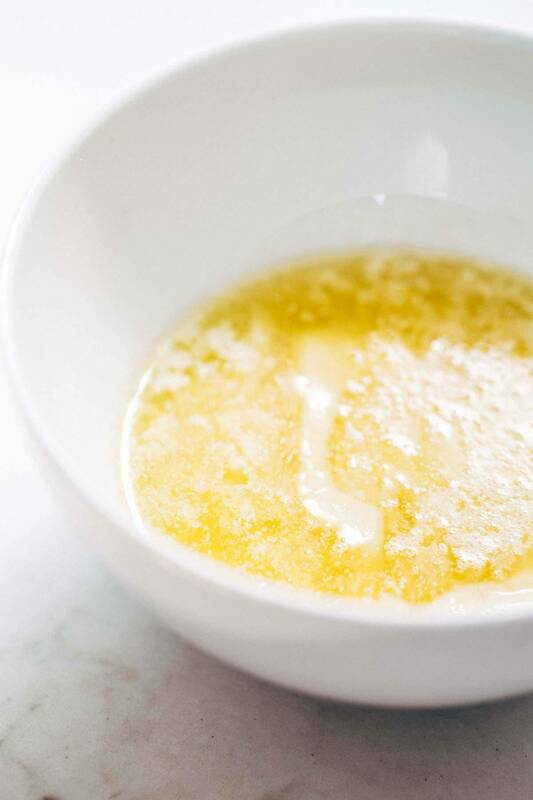 You need to qualities of butter which are, among other things, semisolid at room temperature. 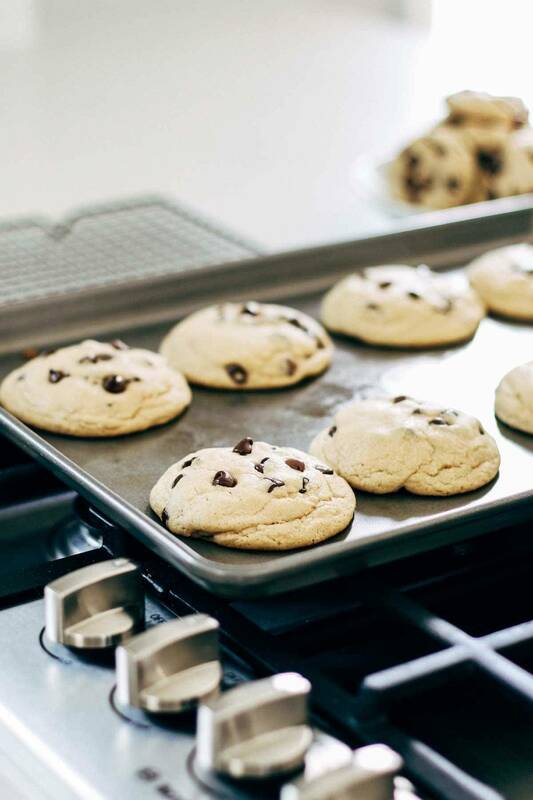 Try coconut oil for a healthier alternative to butter when making cookies. But keep in mind that coconut oil becomes liquid at around 70 degrees F, so those cookies might actually have a better texture when served cold. Coconut oil is actually much higher in saturated fat than butter is. Where butter is about 30%, coconut oil is about 60%. The claims that it is a healthy alternative seem to be grossly exaggerated, based on my research, so this might not be good advice from a health standpoint. But saturated fat is not bad for us. That’s worth some research. They both have pros and cons. However, coconut oil is high in natural saturated fats. Saturated fats not only increase the healthy cholesterol (known as HDL) in your body, but also help to convert the LDL “bad” cholesterol into good cholesterols. By Increasing the HDL’s in the body, it helps promote heart health, and lower the risk of heart disease. So…I don’t know what you are talking about. You sound uninformed to me. Also, I love butter. There’s nothing wrong with using either option it just comes down to what you want, how you feel, what you have available etc. I didn’t have eggs available and I had just enough apple sauce to make the recipe work so it’s technically vegan- I didn’t plan that out on purpose. I’m just too lazy to go to the grocery store today. 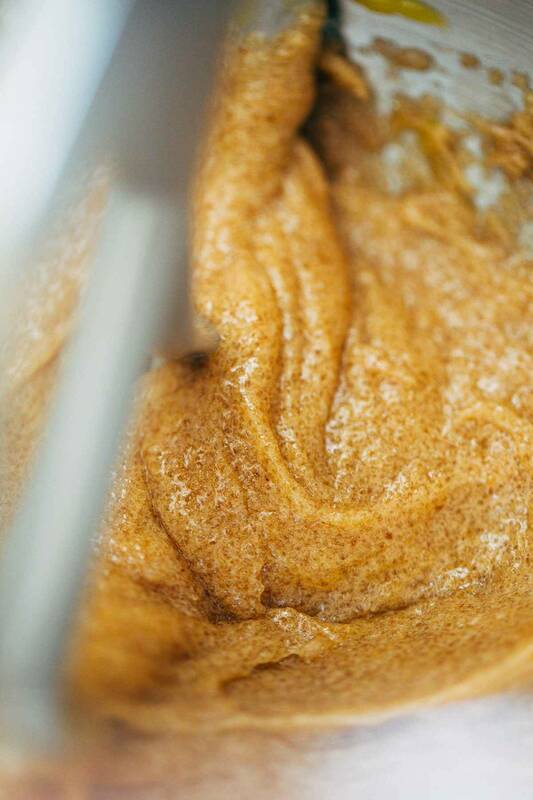 Apple sauce has some good stuff about it and so does eggs. I’m not sure it really freaking matters which is healthier. THESE ARE COOKIES, MAH FRANDS! Please don’t spread misleading information. I’m afraid you have been uninformed. Saturated fat in large amounts can actually contribute to increased serum LDL cholesterol levels. It surely does not lower HDL. But we all deserve a treat from time to time so don’t be so hard on yourself and enjoy a good old fashioned chocolate chip cookie without the guilt. A registered dietitian who loves to occasionally eat cookies the way they were intended to be made. With butter. LDL isn't a cholesterol, it is a protein that transports cholesterol. LDL isn’t a cholesterol, but rather a protein that transports cholesterol. I thought apple sauce was a substitute for eggs. Lol, I love how the number of cookies you ate is censored. These look awesome! Seriously, though. It’s totally inappropriate. 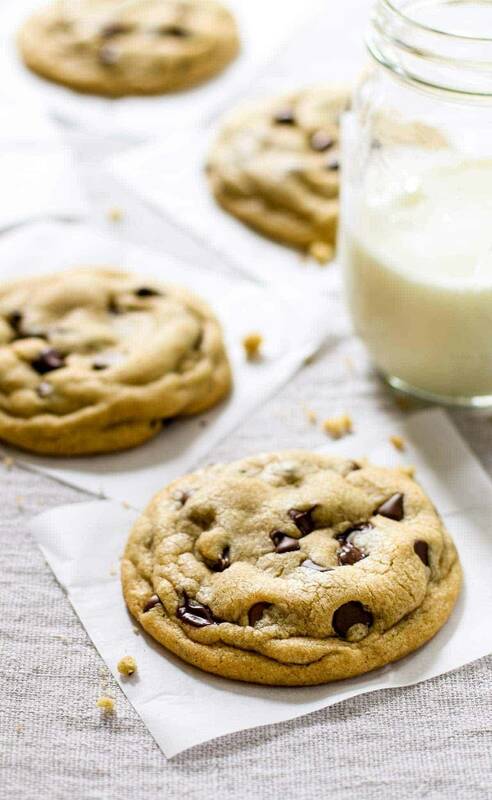 Normally I love a good crispy edge on my chocolate chip cookies but these look ridiculously soft and incredible! It’s like a cookie pillow. So dreamy. Need to try these!! Pillowy! Dreamy! Hope you like them, Rachel! I always melt my butter for cookies like this too! These look delicious! I’m going to make some right now!!! can i sue unsalted butter instead? can I sub the butter with vegetable oil? Hi there! I would not recommend using vegetable oil in place of butter here. 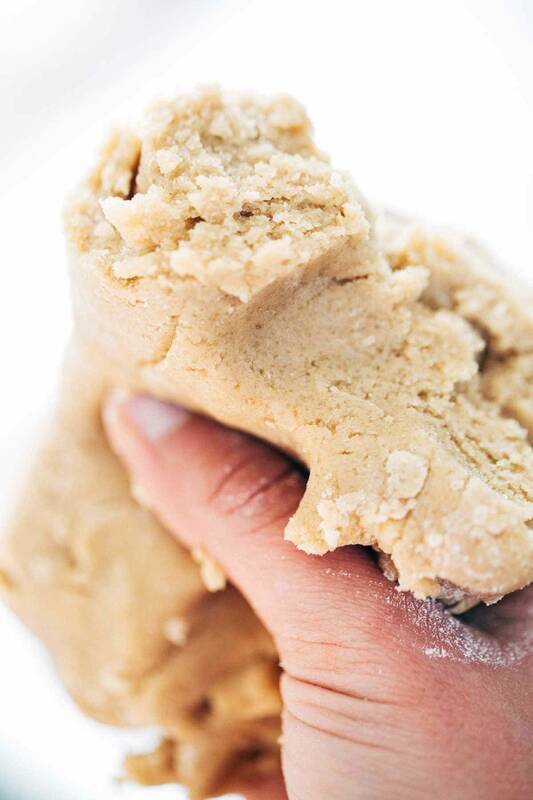 Butter is pretty essential to the texture and flavor of the cookie. Hope you enjoy them! Hi, I wondered if you know how much is 8 tablespoons of batter in grams? Thanks!! Hi, Alma! 1 stick of butter is 14.18 grams. I know I’m super late to the party, but a stick of butter is actually 114 grams. Using only 1/8th of the required amount of butter will be a cookie disaster! Can you substitute the Crisco butter stick for regular butter? I’m going through a bit of a cookie phase- I’m craving them constantly! I ‘ll have to queue your recipe into my rotation. These look incredible! Ugh, I’m ALWAYS in a cookie phase! Enjoy S Lauren! I made these today & they were absolutely Fabulous, Fantastic! yes! these look soo good and my poor little guys been begging me to make him cookies and i’ve had no good recipes! Thanks so much!!! Perfect! Hope you and the little guys like them, Tereza! haha – awesome. Thanks Medha! These look amazing. I love how you make sure definitely understand that these are huge AND soft haha I love it! It is true, chocolate chip cookies are such a classic, but there are so many recipes, they always turn out differently, it is a real treat when you find the perfect ones!.. Yep! And for me, this is the perfect one! 🙂 Thanks the comment Motte. I am still partial to your other chocolate chip recipe that uses maple syrup. Every time I make those cookies, they turn out perfect. I think I am going to stick with perfection for my chocolate chip cookies. Why mess, right? I want to make your stuffed poblano chilis because they look amazing! Thanks Kayla! These are actually REALLY similar to those ones – the recipe is just slightly different based on my lazier approach these days. haha! Hope you like the peppers though! Those are yummmmms. So I just took butter and eggs out of the fridge because I decided today was a day I needed to put away the honey and almond flour and coconut oil and make some cookies, the kind my mom taught me how to bake way back when and cookies she would love to have given to her tomorrow. Then I opened my email to see this post! It’s definitely a sign!! FATE! Cookie fate! I love it. Hello I was wondering if it would be okay if i didn’t use brown sugar because I have none in the house right now! thanks! Any ideas on adjustments for high altitude? We just moved to the mountains, and I’m still trying to figure out the science of it all. The cookies look like sheer perfection! We’re high altitude too and we had to bake these for 15 minutes. Question: my family will need way more than 12 cookies at a time. Doubling recipe okay? Or better to make multiple batches? Have been looking for a soft chip cookie recipe & ta-da you provided one. That’s a good question. Yes, you can double the recipe. I always find that these cookies (well, cookies in general, I think) turn out best in small batches but I have doubled it and it’s worked for me just fine. Love your Philippines’ story! I can just imagine the butter melting on the counter. I plan on doing nothing for Mother’s Day, except find something to bake in a lazy-putter-around-the-house kind of way. I’m going to make these for the kids. Oh wait, and for their mom. That’s me! Yippee! Yay! Enjoy Barbara! And happy Mother’s Day! hahah – glad someone else appreciates those photos as much as I do! Thanks Matea! Mine look undercooked. Is that right? Just made them and holy moly! So so good. Had to use some Reese’s baking pieces in addition to the chocolate bc 3 year olds are demanding, but other than that followed exactly and they came out perfectly. Thank you for such an easy yummy recipe. This makes me HAPPYYYYYYYYYY. So glad you liked them and thank you for your Reeses genius! I may just do that myself. Great cookies ! I used your recipe as a base to make “lactation cookies” for my daughter who is not yet producing enough for her baby. I reduced the flour 1/4 cup and added 4 Tablespoons Brewers yeast, 3 Tablespoons ground flax seed and 1 Tablespoon wheat germ. Yum! We’re all enjoying them and hopefully they’ll help my daughter. Thanks for sharing the recipe! I know. it’s seriously an issue for me. These are marvelous cookies. I have been trying my whole life to find a recipe for soft chocolate chip cookies. Thank you. I’m so glad! Thanks Mary Beth! 🙂 Happy Mother’s Day! Can u uze self rising Flour ? Hi, Shawn! I wouldn’t recommend using self-rising flour as these cookies are already really thick with AP flour. Wow these are every chocolate chip cookies lovers dream!!! Looks amazing! Hope it turns out for you Ruth! Would love to have you report back if you find something that works well as a substitute. 🙂 Thanks! I tripled the recipe using your 3X button on the recipe! Thank you for that! I made the cookies on Sunday and today Tuesday they are still delicious and soft. I loved your recipe. The only thing I did differently is to use unsalted butter, and just milk and semi-sweet chocolate chips. Nothing drastic, thanks so much for the softest chocolate chip cookie recipe.